This thread has 61 referrals leading to it Register and log in to post! Don't make this monstrosity of a beard be grown in vain - GO RANGERS! As a long suffering NY Islanders fan, there would be nothing worse than watching the Rangers hoist the cup. Rangers in 6 and I die a little inside. It ain't the six minutes... it's what happens in that six minutes. As a bitter, depressed Sabres fan, Go Kings Go in 5. 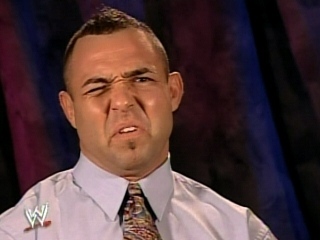 While the switch from Cena to RVD should alleviate some complaints, the inevitability of the belt's return to Cena (note where Summerslam is this year) and the poor initial showing by the new ECW are enough to keep the indicator where it is for now. The pieces are in place, though, especially on RAW, for improvements to be made to the IWC's psyche in the near future. The Penguins fan inside me wants the Kings to sweep. But the Rangers have the hot goalie and are playing terrific hockey. NY in 5. No prediction here, but boy, am I excited. I was really hoping I could go watch Game 1 and/or 2 at MSG--in '94 they had a thing where they opened up the Garden during the away games in the finals, and they presented it as though the game were there--sung the anthem, ran the Zamboni around, even had someone opening the door to "let the players in". Unfortunately, they don't seem to be doing that this time. And as luck would have it, I have to catch a flight in the middle of game 3. Go Rangers. For no other reason than, if they win, more than four people will show up for the victory parade. That Chicago - LA series was just fantastic. I didn't want either team to lose. Now reviewing Shield, Arrow and the summer movies from Godzilla to X-Men to Guardians. I wanted Chicago to lose. Bad. You would expect the West to outclass 'em pretty good, but due to Compete Level almost all series are close now. Even a random Eastern champ like NJD pushed the Kings to 6 in their last final. Thanks, StaggerLee. I'm very seriously thinking of going to that. That event was pretty great--at least until the Rangers blew that lead!. They had a lot of activities going on. The atmosphere wasn't nearly as intense as it was in the Garden in '94, but it was a nice if different vibe. And, hey, I got autographs from and got to shake the hands of Jeff Beukeboom and Glenn Anderson! Thanks again SL. Next thread: Ever wanted to be a mascot ? Look, I have no personal stake in this, it's just uber cool. It's what I am getting myself for Christmas http://www.thegoallight.com/ It runs on batteries, the horn sounds JUST like at the game and the remote looks like a puck. 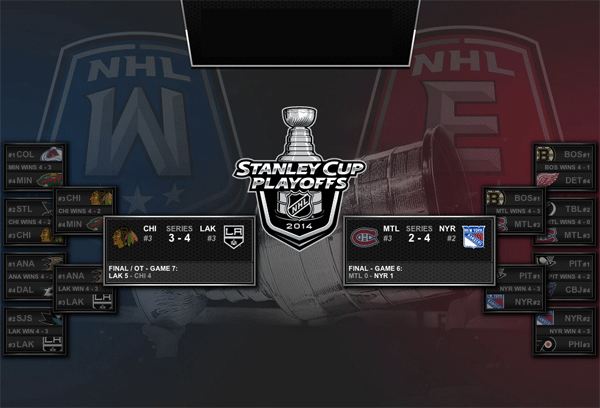 The W - Hockey - NHL 2013-4 Stanley Cup Finals: Rangers vs. Kings - schedule and predictions Register and log in to post!